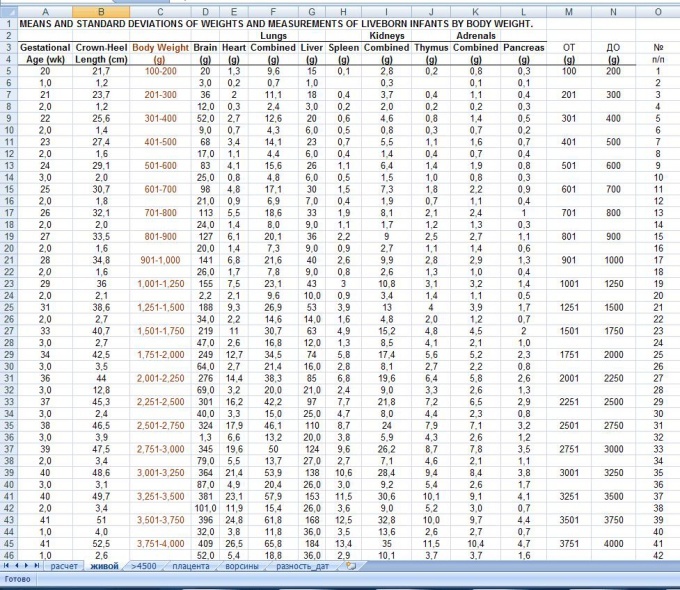 Spreadsheets are used to introduce both numeric and textual information. They can be created in various programs, e.g. MS Excel, MS Word. To place a table on multiple pages, use the table breaking. - installed software package MS Office. Run the MS Word to perform the gap tables. To do this, first create a table. Go to menu "table" if the program version is before 2007, or in the menu "Insert" if the Office 2007 and later. Next, select "Add table", select the number of rows and columns. There is also another way to add a table: just select required number of cells in a special button on the toolbar. Next, fill in the table information. To break the table into several pages, cut out the cells that you want to move to another page, place the cursor at the end of the remaining tables, execute the command "Insert" – "Break" – "to Start a new page. Then on the new page insert cut cells. Set headers of the table in front of her separation. This function will perform the copy of the table header on each new page. For this, select the table header (column names). In Office 2007 the shortcut menu, click Properties, go to the tab "Line" and check the box next to the option "Repeat as header on each page". If you have Office 2003 and below, select "table" and select "Headers. After that, the table with the gap will have a header on every following page. Install the gap table in Excel, create a spreadsheet, place the cursor in the cell that will have you last before rupture of the table, then go to the tab "page Layout", if you have Office 2007, and select "Divide", there select "Insert page break". In previous versions, select the line to split the table, go to the menu "Insert" and select the appropriate command. Make the gap table in Open Office Calc, the analogue of MS Excel, create a spreadsheet, put the cursor in the cell that will be the last in the table, select table, then click on the command "Split table".